India: Islamos fire on police from beachhead (mosque)……. – The Tundra Tabloids……. India: Islamos fire on police from beachhead (mosque)……. 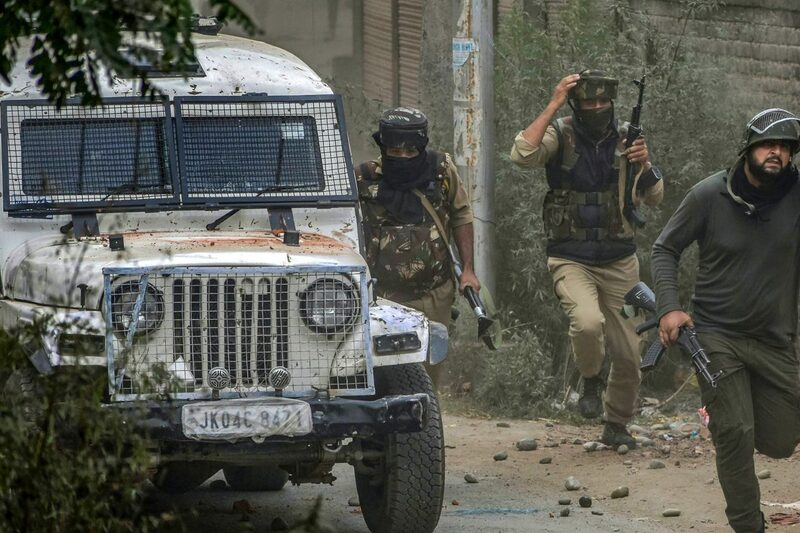 A security operation against militants hiding in a mosque in a central Kashmir village on Thursday claimed the lives of two militants and caused extensive damage to the place of worship during the 12-hour gunfight. A soldier, two civilians and a militant also died in three cordon-and-search operations in various other places, the deaths sparking tensions and prompting authorities to order restrictions and suspend Internet services in large parts of the Valley. A police spokesperson said two militants hiding in the mosque at Panzan village in Budgam district were killed in the gunfight that broke out early on Thursday. A soldier was injured. One of the two slain militants was Pulwama resident Irfan Ahmad Dar, who used to work as a special police officer and deserted the force to join militancy two months ago. “Pertinently, the terrorists fired on a search party from a nearby mosque and subsequently the area was cordoned off. The local Auqaf committee was engaged to convince the terrorists to come out. Security forces also appealed to the terrorists to come out,” the police spokesperson said. “However, the terrorists turned down the offer and consequently the operation had to be carried out in a deliberate manner keeping intact the sanctity of the mosque,” he added. Panzan Jamia Masjid Auqaf Committee chairman Ghulam Rasool Dar said three of the four storeys of the mosque suffered extensive damage in the gunfight. Previous Post Previous Post Germany: Syrian “refugee” arrested for alleged chemical weapons plot……..
Next Post Next Post Jihad Watch: Afghan Muslim settler who stabbed three in Germany not being treated as a jihadi terrorist…….